If you have an online shop, you can do much more than just tracking your campaign performance. See the number of actual orders made by visitors who have converted on your Exit Bee campaigns. For example, if you’re giving a discount coupon to visitors who are abandoning their carts during the checkout process - you’ll be able to see the revenue that was generated from those who stayed and completed their order after seeing the campaign. 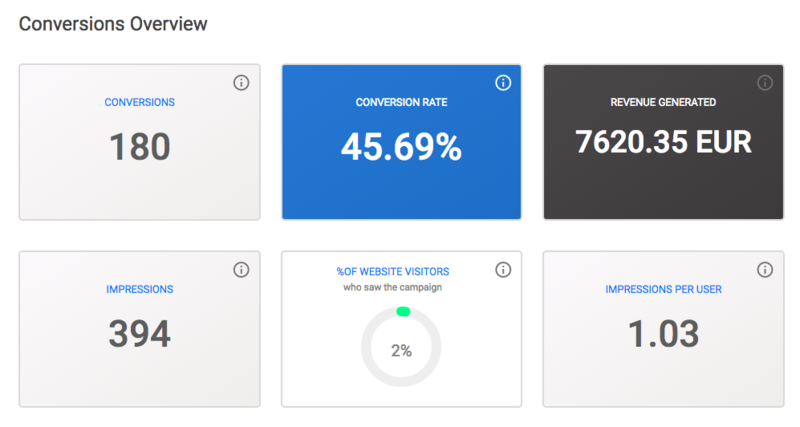 Here’s an example of a cart abandonment campaign's analytics that gives insights into how much revenue is being generated as well. The Exit Bee eCommerce tracking code can be added on any website. We provide simple integrations with popular CMS platforms, but if your shop is built on any other eCommerce CMS, then just follow the Custom Installation instructions below. In order to calculate the generated revenue for your shop, you need to add the following eCommerce code script to your order success page (should be executed every time an order is placed). Now you can see how each Exit Bee campaign helps you increase sales and revenue.